At age 59, the Emperor Hadrian returned to Rome and began work on his legacy. He spent most of his life traveling to the extents of the Empire, through Africa, Asia, Egypt, Greece, Judea, Britain and northern Europe. He mostly shunned life in Rome, preferring to learn about the cultures of the world instead of fighting with the Senate. His Villa/Resort in Tivoli is around 30 minutes from Rome by today’s roads and an amazing tribute to this amazing man. Around 134 AD, slowed down by health problems, Hadrian moved back to Rome. 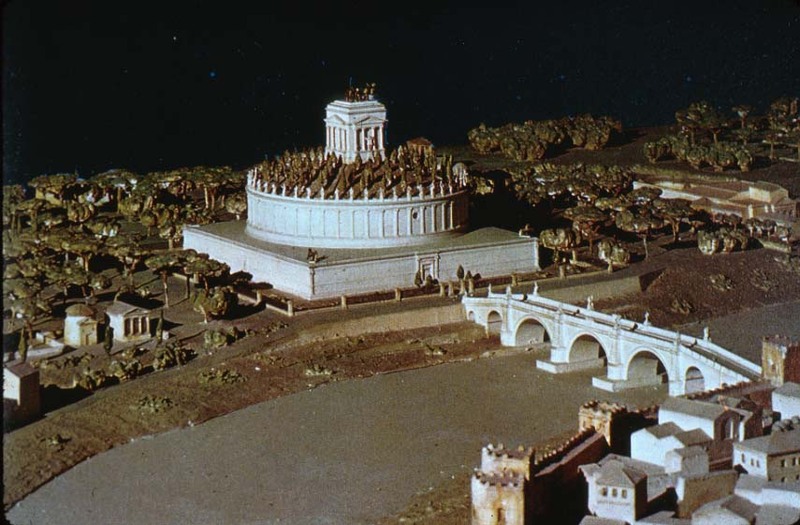 He adopted Antoninus Pius as his heir and successor and began work on his final resting place, a great round mausoleum on the banks of the Tiber River. 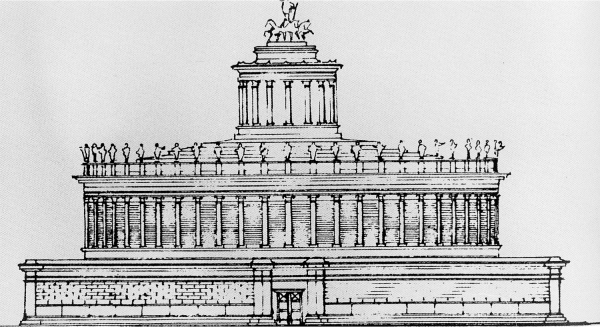 It would be the first new Imperial Mausoleum since the one built for Augustus in 28 BC. 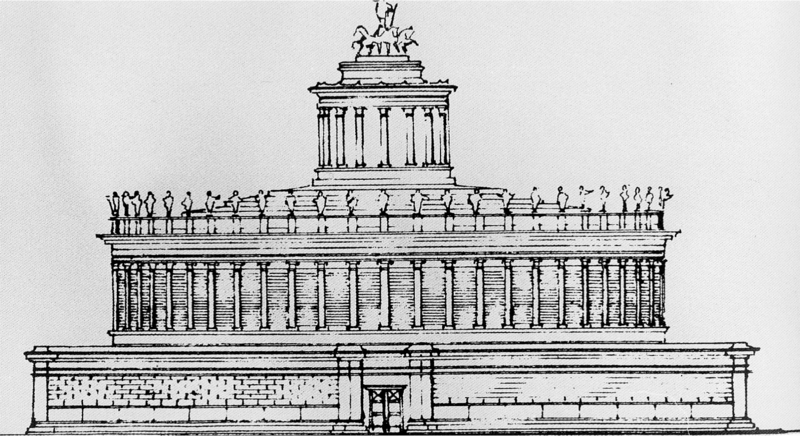 Construction of Hadrian’s Tomb began in 135 AD. With respect to the first Emperor of Rome, Hadrian made his monument slightly smaller than the Mausoleum of Augustus, but with respect to Hadrian, he added much more decoration, including a golden quadriga that capped the top of the great monument with a golden likeness of Hadrian as the charioteer. Hadrian died 4 years later in 138 AD. Construction of the Mausoleum was completed by the newly anointed Emperor Antoninus Pius in 139 AD. Between the years of 139 and 217, Hadrian’s Imperial Tomb was filled with the funerary ashes of Imperial families. The Emperor Caracalla was the last. When Aurelian became Emperor in 270, he expanded the city fortifications against the impending threat of the Goth invasions, incorporating Hadrian’s Mausoleum into the new Aurelian Wall. It’s position as part of the city’s defense is one of the reasons the Mausoleum is still with us today. In 410, Alaric and his Visigoths came through the Porta Salaria (near the current Porta Pia). In the sack of the Rome that followed, the tombs of Augustus and Hadrian were plundered. In just a few days, close to 500 years of Roman ‘who’s who’ literally went up in smoke as the invaders dumped the funerary ashes on the ground and made off with the valuable urns. 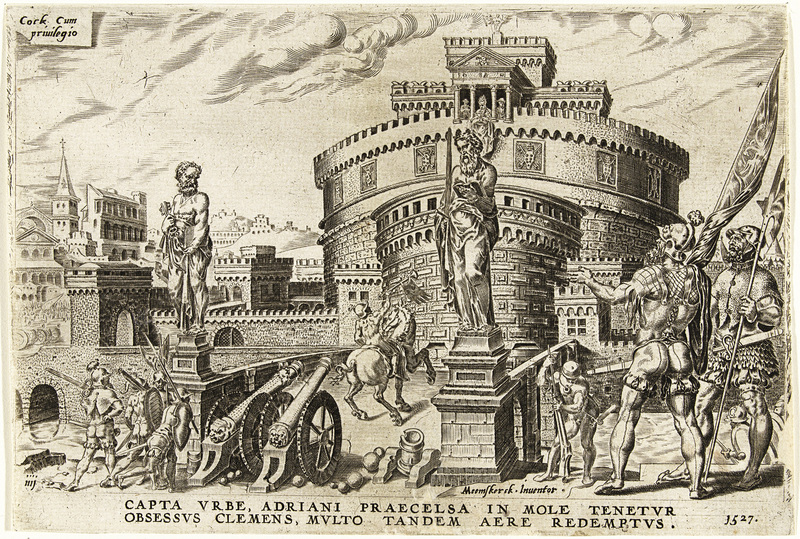 When Theodoric became the King of Italy, he moved his headquarters to Rome and used the Mausoleum (now the Aurelian fortress) as a prison. The Castel has been a prison for much of it’s existence. In 537, Vitiges and his Ostrogoth army attacked the city. According to the historian, Procopius, protectors of Rome stood on the top of Hadrian’s mausoleum tossed bronze and marble statues or whatever they could loosen from the ancient tomb down onto the invading Ostrogoths. It was to no avail. Rome fell for the second time. In 540 AD, plague infected rats from Egypt hopped on a ship bound for Constantinople. 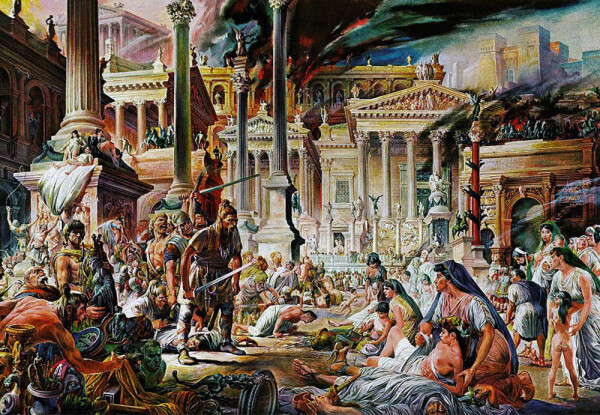 In the next 50 years, the Justinian plague (as it would be known) wiped out over 100 million people, over half the population of Europe. The death list included the Pope of Rome, Pelagius II. 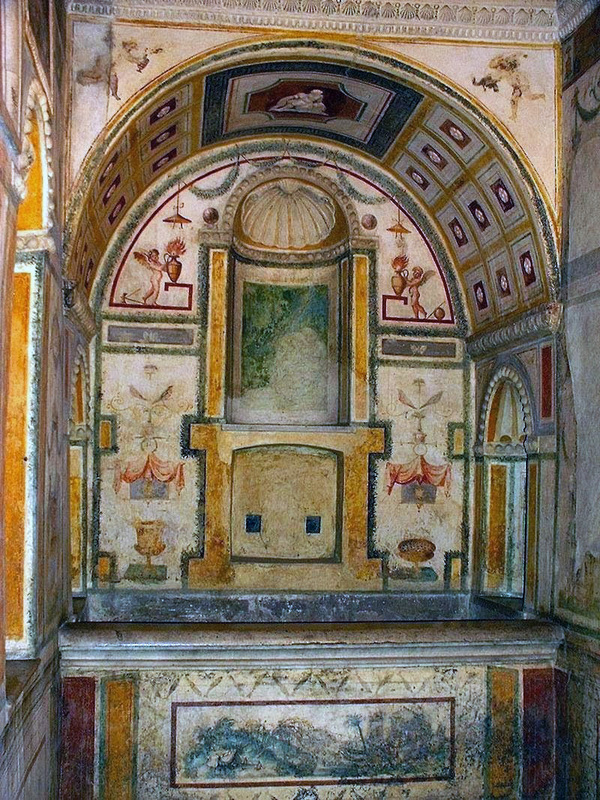 In 590, the newly ordained Pope Gregory I claimed to have witnessed the appearance of the Archangel Michael on top of Hadrian’s Mausoleum sheathing his sword. The Pope saw this as a sign that the great plague had finally come to an end. He was right about the plague. After 50 years, the plague had finally run it’s course. 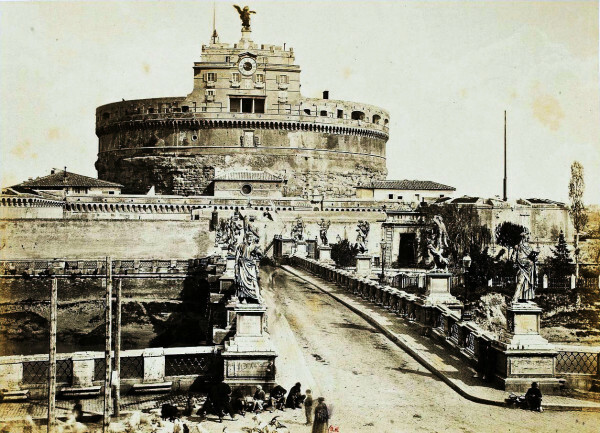 In thanks for the Holy Miracle, Pope Gregory renamed the Mausoleum as Castel Sant’Angelo, the Castle of the Holy Angel. There have been 6 statues of the Archangel Michael decorating the top of the Castel fortress. The 1st, made of wood and weathered away. 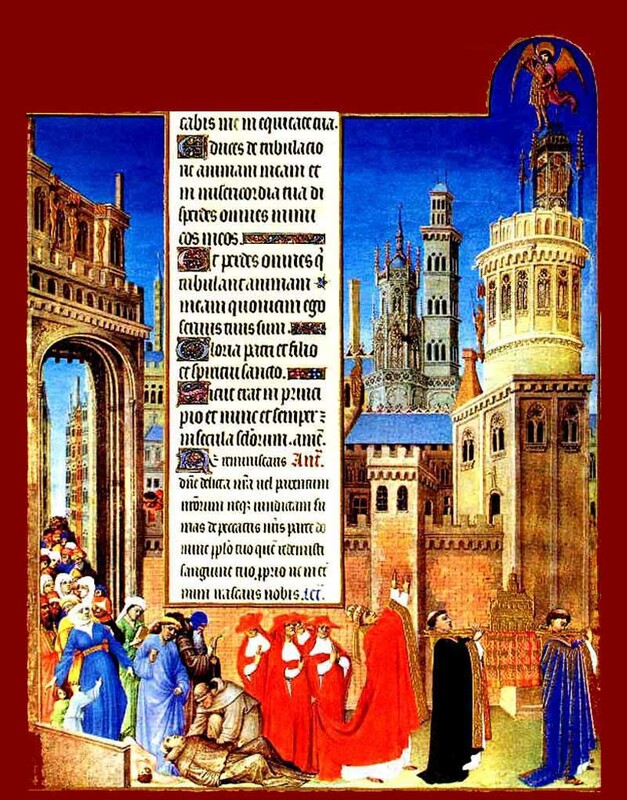 The 2nd, made of stone, was destroyed during an uprising in 1378 when the people of Rome protested the seat of the Papacy in Avignon France, historically known as the Great Schism. When Clement V was elected Pope, he declined to move to Rome and instead set up a Papacy in Avignon. The following 7 Popes were all French and for the next 69 years, Rome decayed while Avignon prospered. Although Gregory XI brought the Papacy back to Rome, when he died in 1378, those wacky French decided to elect their own Pope and resume the rule in Avignon. Needless to say, the Romans were very pissed off. It was Pope vs. AntiPope for a few years before everything calmed down and returned to Rome. The 3rd statue, made of marble with bronze wings flew away in a windstorm. The 4th, made completely of bronze was melted down into cannon balls used to fight the troops of the Holy Roman Emperor, Charles V during the 1527 Siege of Rome. This time the Archangel Michael couldn’t help the city. 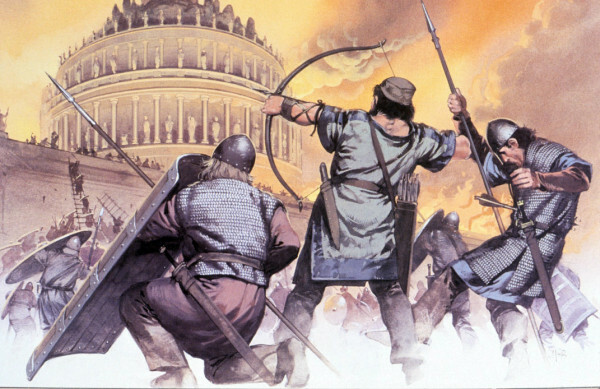 This Siege of Rome might have been the worst in recorded history. 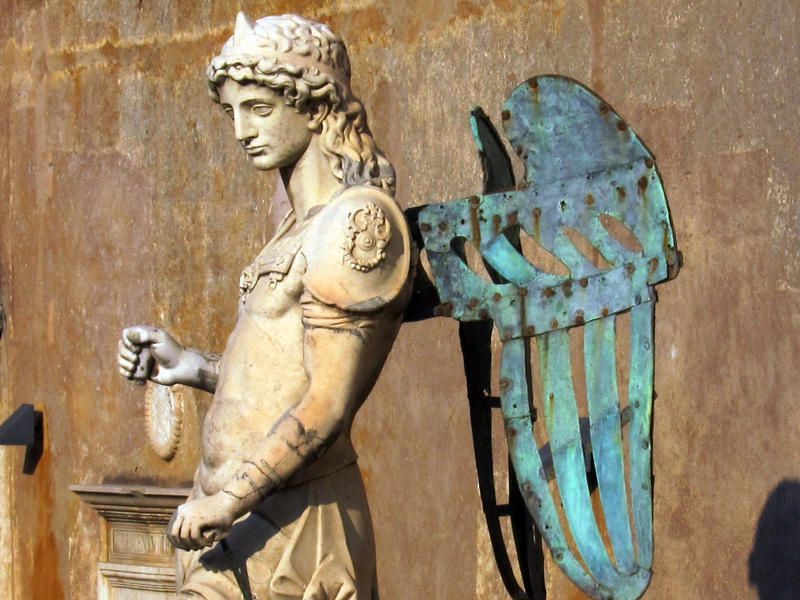 The 5th version of the Archangel was created in 1536 by an apprentice to Michelangelo, Rafaello da Montelupo. This statue, also of marble with bronze wings stayed up on the summit of the Castle until 1753 when it was pulled down and replaced by the bronze statue that still stands above the Castle. The Montelupo statue is currently on display in the courtyard of the Castel. The new one, created by Flemish sculptor, Peter Anton von Verschaffelt in 1748. In the 13th century, Pope Nicholas III (Orsini), who’s acts of nepotism gave him a place in Dante’s Inferno, created the escape corridor from the Vatican to the Castle Sant’Angelo by the covered and fortified Passetto di Borgo. Pope Alexander VI (Rodrigo Borgia) used the Passetto when he fled the Vatican from the attack of the French King Charles VIII in 1494. In the 14th century, Pope Boniface IX (Tomicelli) began changing the face of the Mausoleum into the fortress we see today. He added foundations to the castle walls in order to support cannons. Boniface IX was one of the Popes during the AntiPope period when Avignon France still put their own Popes on the French seat. 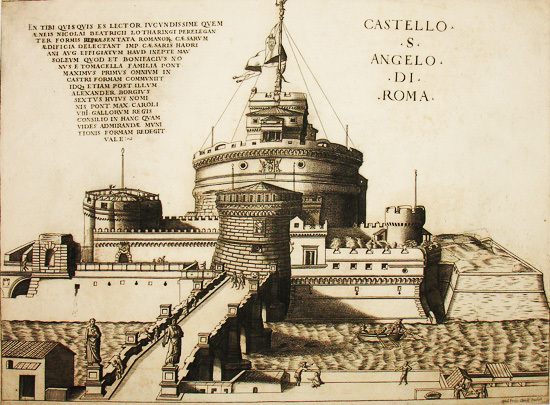 After the Fall of Constantinople in 1453, Pope Nicholas V (Parentucelli), afraid the Turks had their eyes on Rome, decided it was time to fortify the Castel Sant’Angelo. He added the crenellated curtain wall, three of the four towers and rooms for grain and oil. The four towers are referred to as St Matthew, St Mark, St Luke and St John. Pope Alexander VI (Borgia) built the 4th tower, added the bastions, the moat, torture rooms and many prison cells. Alexander had many enemies who ended up in the prisons. Supposedly, Alexander held concerts and parties in the courtyard directly above the darkest and most depressing prison cells. In 1527, after the armies of the Holy Roman Emperor Charles V defeated the French (supported by Pope Clement VII), the funds to pay the soldiers never materialized. 34,000 angry soldiers under the leadership of Charles III, the Duke of Bourbon sacked the city of Rome. As the troops of the Holy Roman Emperor went crazy on the people and the city of Rome, Pope Clement VII (Medici) took the route through the Passetto and made a very comfortable home for himself in the Castle. 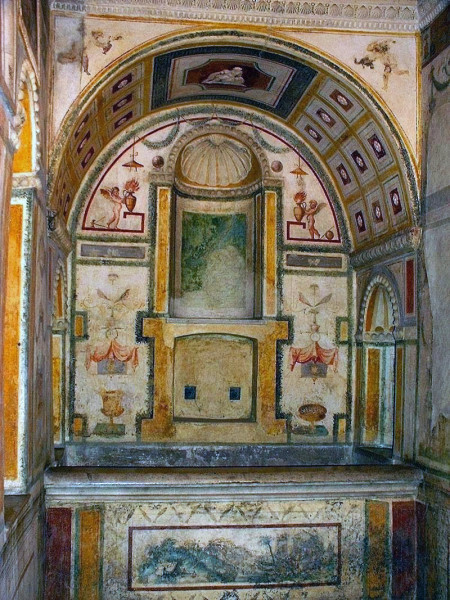 One of the modern features of his fortress apartments was the bathroom with hot and cold running water now known as the Stufetta di Clemente VII. The hot water faucet was fashioned into the likeness of a brazier. The cold water faucet was a chalice. Unfortunately, these faucets are no longer in the stufetta. The 1527 Sack of Rome was a mess. Churches, museums and libraries were looted. Women were violated. Wealthy citizens paid large sums of money to ransom their lives. Shops and taverns were first depleted of all their food and drink and then destroyed. 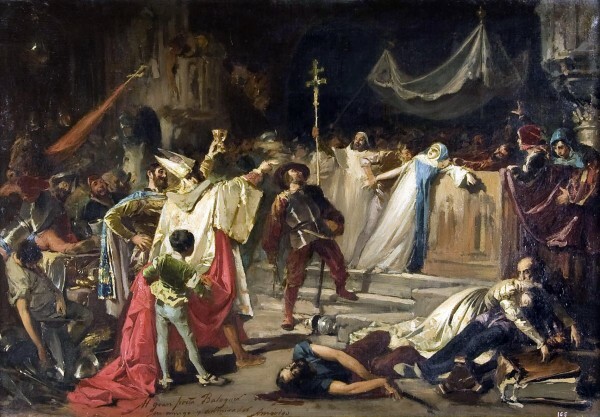 Not even Charles V, the Holy Roman Emperor could stop the violence. An estimated 12,000 people were killed, many from the disease from unburied bodies of the dead. The pillage lasted for close to 8 months when food ran out and there was no more money left. The population of Rome before the siege was around 55,000. When it was all over, less than 10,000 remained. Clement VII remained a prisoner in the Castle for 6 months until, disguised as a peasant, he escaped to Viterbo. 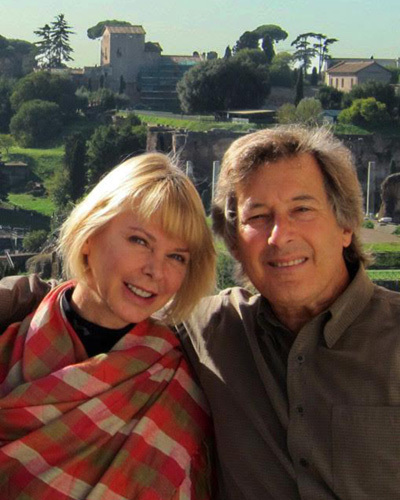 By the time he came back to Rome, the city was devastated. In his Autobiography, the artist, goldsmith, musician, writer, adventurer/braggart, Benvenuto Cellini writes about his time as a soldier in the Castel Sant’Angelo fighting the troops of the Holy Roman Emperor during the Siege of 1527. Cellini is credited (most likely self credited) as the rifleman who killed Charles III, Duke of Bourbon, the same Duke who led the Siege. Cellini was the son of an architect and musician, born in Florence in 1500 . He learned the goldsmith trade but after several street fights, he was forced to leave Tuscany and moved to Rome. He had a good relationship with Pope Clement VII, a Medici and fellow countryman of Tuscany, but his Papal favor diminished during the Papacy of Paul III (Alessandro Farnese), a Roman. In the mid 1530’s Cellini was caught with his hands in the Papal treasure and sentenced to spend jail time in the Castel Sant’Angelo. It wasn’t that bad at first. 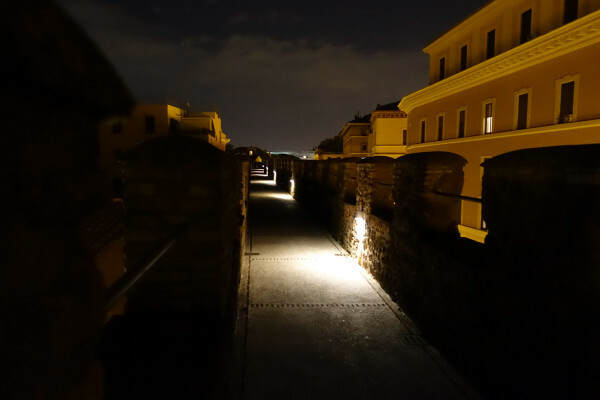 Cellini was remanded to a gentleman’s apartment in the upper floors of the Fortress overlooking the Cortile del Pozzo. It still proved to be too much. He tied bed sheets into a rope and repelled himself from the apartment window. Unfortunately the bed sheet rope broke before he reached the bottom. Cellini fell and broke his leg. His accommodations on his return to the prison were not so nice. He was sent to one of the underground cells where he remained for quite some time until his family in Tuscany was able to come up with a fee to pay off the fine. By 1540, Cellini was in France. He led a celebrated and somewhat scandalous career for the next 31 years until his death in 1571. Popes began building apartments in the Castle since Nicholas V in the 15th century. Alexander V (Borgia) built private apartments where he (supposedly) carried out his many trysts. Pope Leo X (Medici) built an elevator up to his private apartments. You can see Papal shields all over the Castel; Medici balls, Farnese fleur-de-lis, Barberini Bees. Borgia Bulls and a few others. It was Pope Paul III (Farnese) who created the most ornate and enduring chambers in the Castel. His Papacy was smack in the middle of the Italian Renaissance. He was born Alessandro (Alexander) Farnese and as he rose through the ranks from Cardinal to Pope he envisioned himself as the new Hadrian, or even better, the new Alexander the Great. His Sala Paolina, an audience room of the Farnese apartments, is a Renaissance splendor of stucco, mosaic and frescos by Perin del Vaga and Pellegrino Tibaldi. The allegories of Pope Paul’s fascination with Hadrian and Alexander the Great are quite obvious. 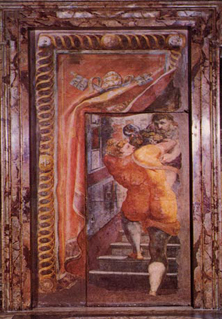 If you look around the room, you’ll discover two cartoon tromp l’oeil frescos painted onto doors leading out of the salon; Pellegrino Tibaldi’s self portrait is on one and Perino del Vega’s two servants sneaking away up the stairs is on the another. Del Vega was one of Raphael’s best students and worked on many of the salons in the Castel. Del Vega died a few months after finishing the paintings of the Sala d’Apollo, another of the Farnese apartments done in the grotesque style popularized in the 15th century. Paul III was the brother of Giulia Farnese, the lover of both Pope Alexander VI (Borgia) and Pope Julius II (Della Rovere). Most believe he was made a cardinal as a favor to Giulia and for most of his religious life he was scorned as being a token gift to a royal whore. He was referred to as Cardinal Petticoat. However, he did rise to the occasion after the sack of Rome in 1527 and is credited with the start of the Counter-Reformation of the Catholic Church. He was a great benefactor of the arts and also instrumental in the start of the Baroque period. 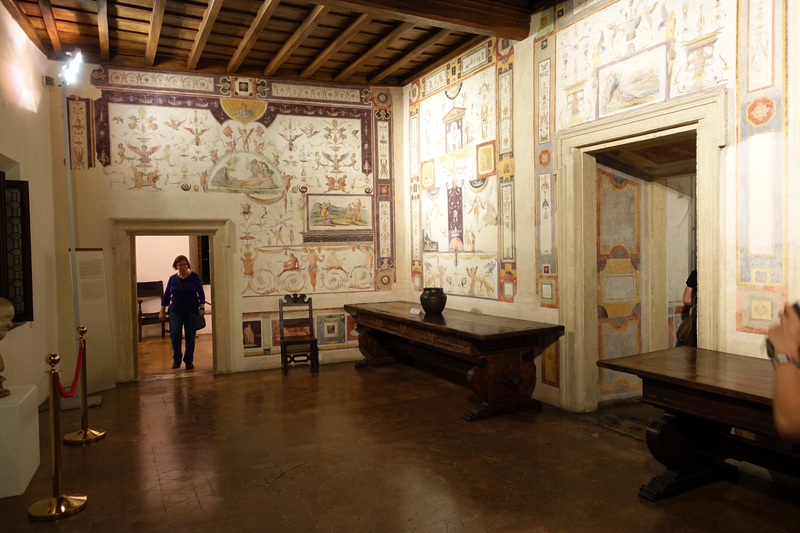 You can see all of this in the Sala Paolina. Aside from Benvenuto Cellini, the Castle has been the temporary home to some very famous prisoners. For some of them it was their last place of residence. 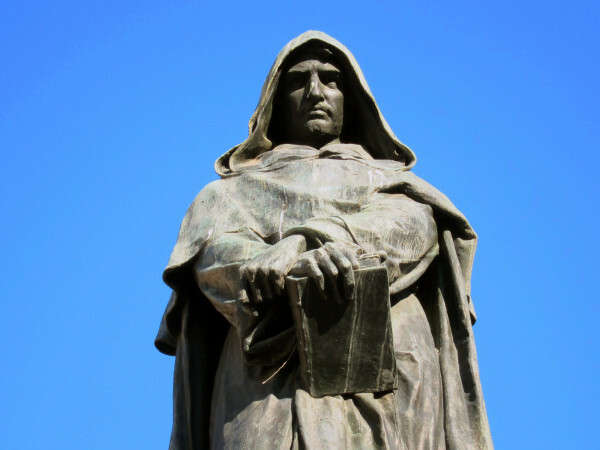 The list includes Giordano Bruno, the Dominican Friar and Astrologer who said other planets in the galaxy could quite possibly have their own life and have nothing to do with our lives on earth. He was eventually burned alive in Campo dei Fiore. He is remembered by a brooding statue of him in the middle of the Piazza. 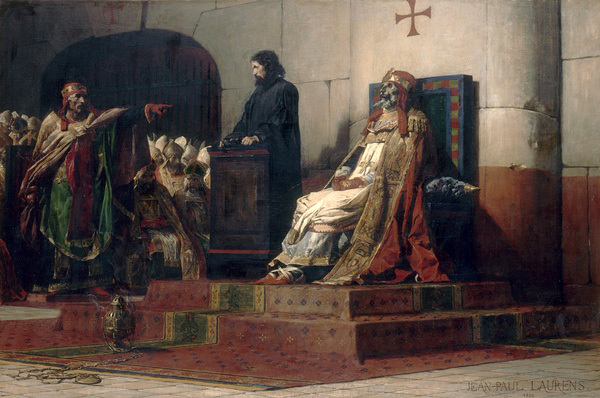 Pope Stephan VI, who exhumed the rotting corpse of his predecessor, Pope Formosus and put it on trial, was himself jailed in the Castle and strangled to death in 897. Pope Leo V was Pope for a year from 903-904 till he was thrown into a prison cell in the Castle and killed on the orders his successor, Pope Sergius III. Pope John X, the first Pope to lead an army into battle, was deposed, imprisoned in the Castle and killed off in 974 by his mistress, Marozia da Spoleto, who was much more powerful than the Pope. Marozia was also the mistress of the previous Pope Sergius III and put her son on the Papal throne, naming him Pope John XI. 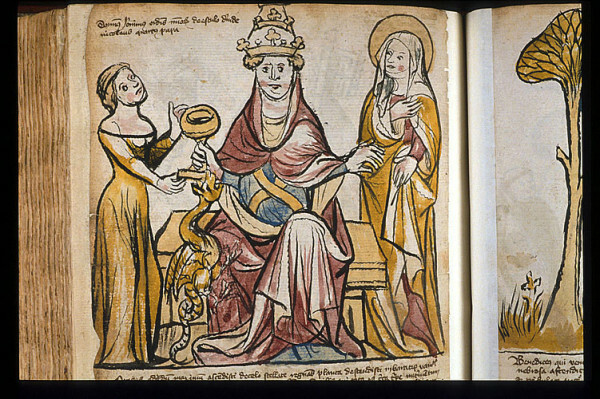 There are lots of legends about a female Pope Joan. Most likely they all stemmed from Marozia da Spoleto. Pope Benedict VI, another Pope for a year, was imprisoned in the Castle by the Holy Roman Emperor Otto II and then killed in 974. Ten years later in 984, Pope John XIV had the same end. Cardinal Gaimbattista Orsini was one of the Borgia political assassinations. He was arrested and put in a prison cell in Castel Sant’Angelo for conspiring against Cesare Borgia, the Pope’s son. Orsini was poisoned while in the prison in 1503. Most agree he was killed by Cesare Borgia. Giuseppe Bori, adventurer, alchemist, doctor and advisor to the Kings and Queens was arrested as a political prisoner in 1670 and spent the next 28 years living in a semi lap of luxury inside the Castle until he died waiting for medications to cure him. One of the more famous prisoners in the Castle was the great forger and counterfeiter, Giuseppe Balsalmo, alias the Count Alessandro of Cagliostro, was imprisoned in 1789 in the loggia over the apartments of Pope Paul II. 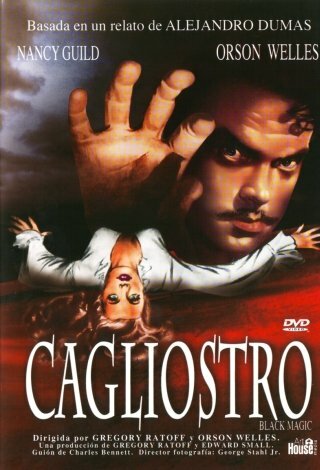 Cagliostro started his career as a master swindler in Palermo and worked his way through the courts of Europe. He was implicated in the Affair of the Necklace” that tarnished the reputation of French Queen Marie Antoinette. He was the founder of Freemasonry and eventually arrested in Rome for forgery, fraud and witchcraft. He was sentenced to life imprisonment at Castel Sant’Angelo in a very plush apartment, but he escaped. He was apprehended, this time he was put to death in 1795. He was 52 years old. In 1870, the troops of King Vittorio Emanuele II finally broke through the fortress walls of Rome and the Italian Unification was completed. Rome was the last holdout against the Unification. 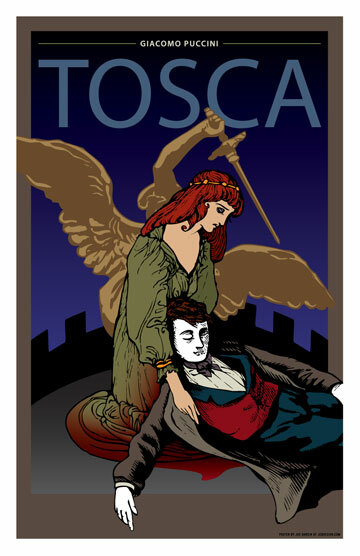 In 1900, Giacomo Puccini’s Tosca premiered at the Teatro Costanzi Opera House in Rome. At the end of the Opera, Tosca agrees to be the girlfriend of the chief of Police, Baron Scarpia if he writes a letter to free her true love, Cavaradossi from the torture of the Castel Sant’Angelo prison and from the firing squad. Scarpia agrees, writes the letter and then Tosca kills him. Unfortunately though, the document was never intended to save the life of Cavaradossi. When Tosca discovers her love has indeed been shot to death, she jumps off of the parapet of the tower of Castel Sant’Angelo to her death. 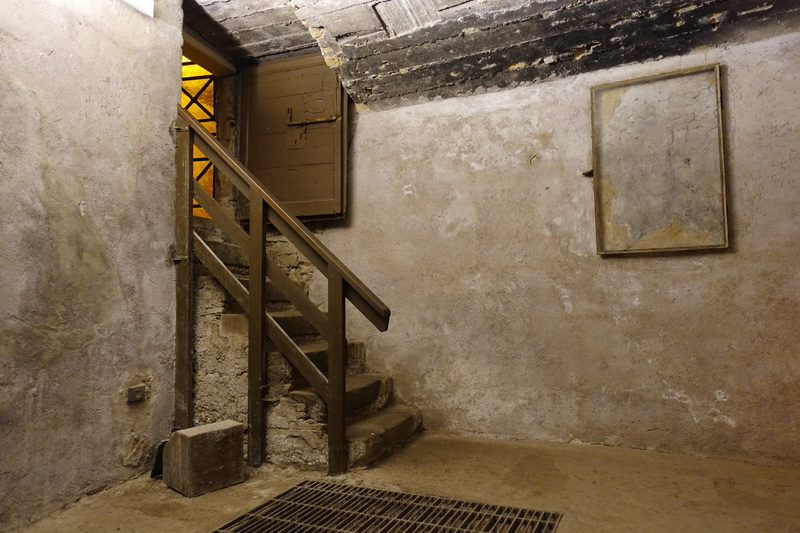 The prisons of Castel Sant’Angelo closed the following year. In 1901, the prison was decommissioned. Hadrian’s bridge, the Pons Aelius, named after his family, was built before the Mausoleum. It provided access for building materials needed for the construction. The name of the bridge was changed to the Ponte Sant’Angelo soon after the mausoleum changed to the Castel Sant’Angelo. Three of the original 134 AD arches under the bridge are still visible. The other two are rebuilt copies of the originals. For a while, the bridge was the only way to get across the river to St Peter’s Cathedral. During Jubilee years, the bridge got very crowded. The jubilee of 1450 was so successful, hundreds of people were trampled on the bridge when the crowd got out of control. Hundreds more drowned when the balustrades gave way. 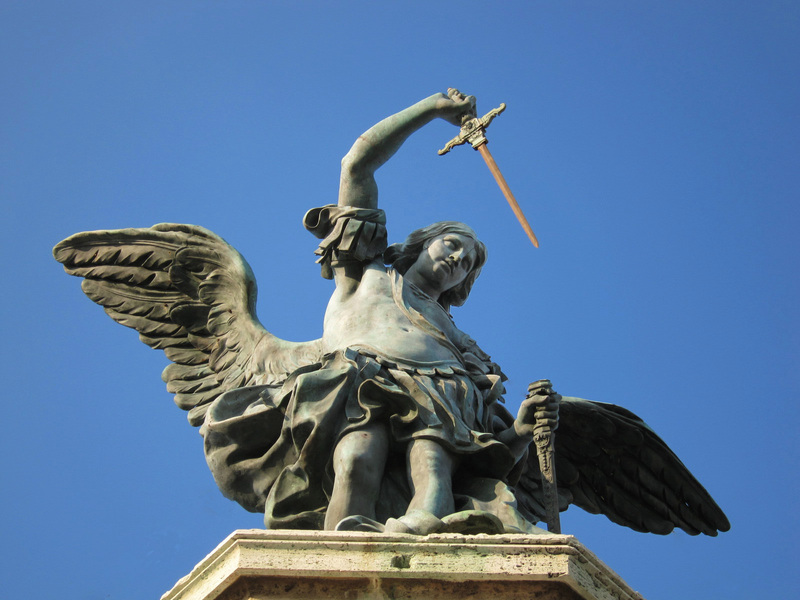 In 1535 the first of the statues, figures of the old testament, appeared on the bridge, created by Raffaello da Montelupo, the same artist who created the Archangel Michael now in the courtyard of the Castel. In 1669 Pope Clement IX (Rospigliosi) commissioned Bernini to replace the old worn out figures with the 10 statues we see there today, angels holding instruments used in the Passion of Christ. Bernini made just two of them, the angel with the Crown of Thorns and the angel with Banner inscribed INRI, neither of which ever made it to the bridge. They were kept by Clement IX and are now in the church of Sant’Andrea delle Fratte near the Spanish Steps. Copies of the two Bernini angels were put on the bridge. Throughout the 16th and 17th centuries, hundreds of criminal’s heads on pikes were nestled between these heavenly angels. When Pope Sixtus V (Felice Peretti) took office in 1585, it was the custom (as was the practice of a newly ordained Pope) to pardon all the criminals in the jails in honor of his coronation. Sixtus V instead announced “While I live, every prisoner must die.” And die they did. It was said that the heads on the bridge were “more numerous than the melons in the market”. 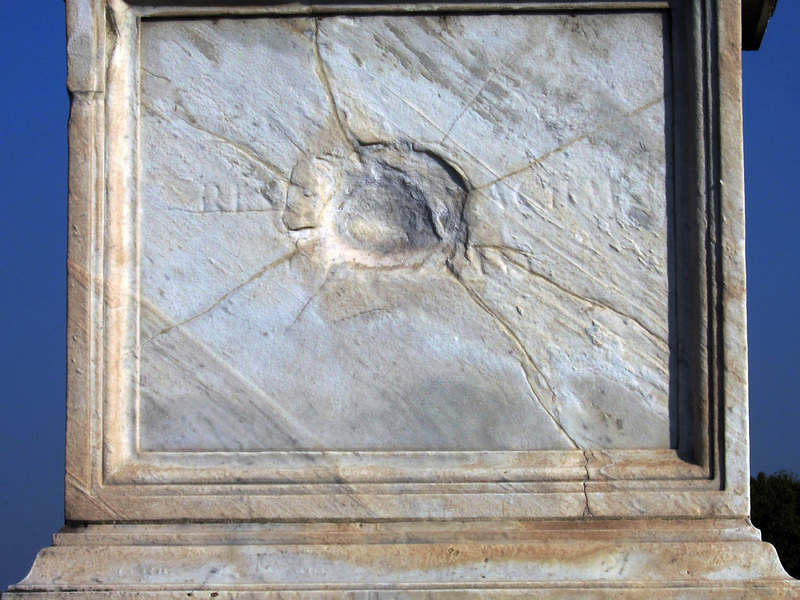 In 1870, as the forces of the Risorgimento fought to bring Rome into the Italian Unification, a cannonball landed into the base of one of the statues on the bridge. The statue was knocked into the river but it was repaired and repositioned. However, the mark of the cannonball is still there. Look closely. You’ll find it easily.